What’s the story behind Fareed & Neyba? Where to find them? What kind of music are they producing & playing? Check it out right here! 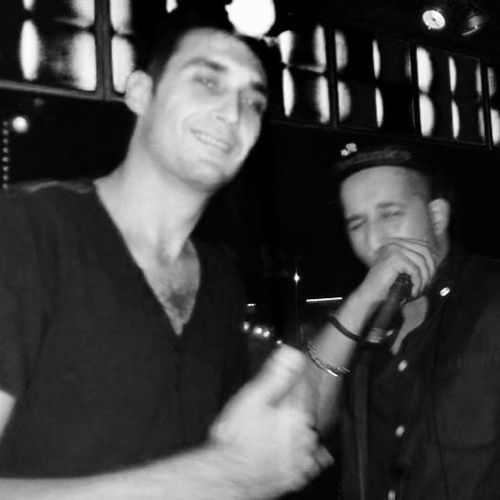 These two DJs met each other early 2015 in Brussels while Neyba was mixing @ the Deep Corner (Corner Bar) on Thursdays with Fabio Simoné. The funny thing about it was that Fareed was listening to Neyba’s set and asked if he could join for a back-to-back (without even knowing each other). Neyba asked who the hell he was and said “no”! The manager introduced Fareed to Neyba: “That’s Fareed Merwall of La Rocca on Sundays!” Neyba’s first reaction was: “Yeah sure, and I’m resident @ Pacha Ibiza you know… Everyone plays @ La Rocca these days… ;-)” But it was true! The next party was with Fareed himself as a guest and he showed off his DJ-skills! Neyba was stunned. What Fareed showed that night was pure magic! They started playing together @ La Rocca (Lier) every Sunday in the Backstage for almost a year and other clubs and bars such as: Ace (Pepingen), Cruises to Pleasure (Antwerp), Bora Bora (Vilvoorde), Karma Club (Ghent) , De Nieuwe Viertrap (Scherpenheuvel), … Also weekly radio shows on Topradio Aalter, where Neyba has his own show ‘Deep SubClub’ every Thursday 22.00 CET 104.7 FM / streaming www.topradioaalter.be A true friendship grew between the two artists and, sharing the same passion for music, they decided to create a new duo: “Fareed & Neyba”. Beginning of 2016 a new opportunity arose; their track ‘Hot & Cold’ got signed to the record label Goeniiz Records. The hard work has paid off. No doubt that more tracks will follow as the duo is growing closer together and working in a more efficient way. Recently they were invited to the radio show ‘Radio Activity’ on YouFM 106.9 (Mons) and were asked what style they produce & play? The answer was that there’s no really specific style that defines them; they create what they feel and try to bring that over to the audience. Fareed & Neyba; a duo that is complementary and that likes to work together. You can describe them as one with knowledge & skills, the other one with talent & dedication. Together they create a unique style. Their journey has just begun!